1. The pyramids of Giza were originally white and shiny. 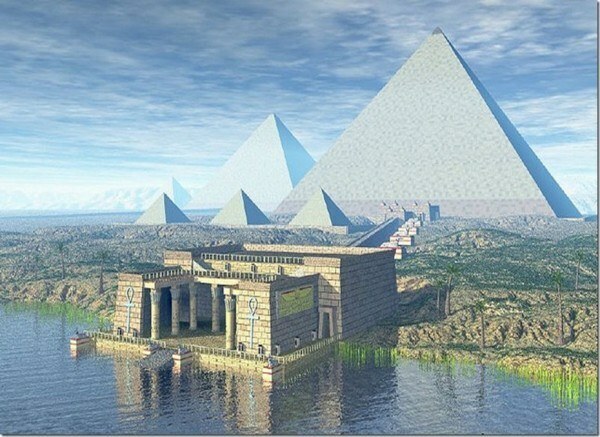 Pyramids are a marvel of ancient engineering. We get so busy being amazed by the Pyramids, with their massive, meticulously layered sandy golden bricks, that we forget that what we’re seeing are the broken-down remnants. If you could see them new, you’d barely recognize them. They were much more awesome back then. What we think of today as the Pyramids are really just the exposed layers of the structural base. Ancient Egyptians had a strong culture of celebrating after-life rituals with plenty of golden ornaments, utensils and precious gemstones, which they believed would keep the person comfortable beyond this world. The glitter and glamor increased reached massive proportions for the tombs of Pharaohs (which the Pyramids encased), aspiring to be the most sparkling, shiny thing of all. The original outside consisted of smooth, white limestone that hid the layers of brick, giving the effect that a pyramid was one giant solid piece. Thus came the Pyramids, with a structural base of staggered yellow limestone bricks cased in an outer layer of Tura Limestone. The white Tura limestones were then polished to create an impression of a solid triangular surface which could reflect sunlight. The astonishing precision of this polishing could be gauged from the reflection of sunlight, often reaching a hundredth of an inch. These Tura limestone casing stones had length, breadth and height dimensions of nearly five feet. A polished stone weighed close to 15 metric tons. But the original stones were often up to 40 metric tons and were polished and cut ‘at’ their final location to perfectly align with the face angle of that side of the Pyramid. Don’t ask how they got so many of those arranged in such perfect alignment. Mankind has been choking up on that stat for a while! What we can say is that structures as big as the pyramids with their shiny limestone walls reflecting sunlight probably shone like a bright jewel and could be noticed from miles away. If they have survived nearly five thousand years, chances are that they were subject of much amazement and folklores. Artists in different times across the colorful history probably saw different degrees of wear and tear and their illustrations reflected that. The fact is, these structures have withstood sun, sandstorms, earthquakes and overtly curious human intervention and what we notice today are only worn down remnants of the original structure. Many of their outer casing stones were cut loose and became part of other nearby structures in eras that followed. Bahri Sultan An-Nasir Nasir-ad-Din al-Hasan used some of these polished stones to build mosques in Cairo, a few of which still remain intact. Worse still, treasure hunters used pick-axes, knives and explosives to scrape away and loot much of it during the early 19th and 20th century as well. Notice closely towards the base of Pyramid of Khufu and you may see some of the few remaining original casing stones. 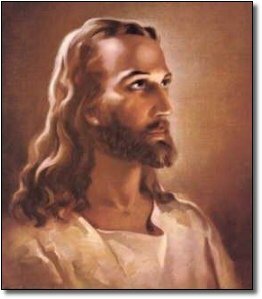 Given that his light eyes, sharp facial features and long hair (straight from a modern-day conditioner and shampoo advert) are so instantly recognizable, more than half the world identifies Jesus Christ as this picture. As you can probably guess, Yeshua of Nazareth, the man Christians think of as “Jesus Christ” today, actually looked a lot more Middle Eastern seeing as he was… well… actually Middle Eastern. 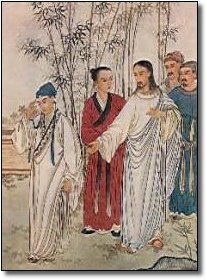 Most scholastic texts agree that Jesus was like a ‘common man’, a fellow ‘brother’ to the mankind. 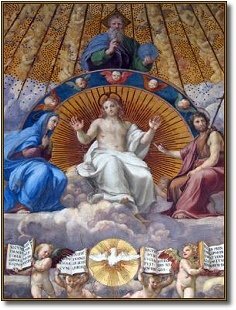 Sure, he was the divine one, the chosen one, but he was also someone who led by example. And to be that, he needed to be ‘human’ and not look like someone concocted with magical potions of good looks and Caucasian skin color (something which was pretty synonymous with supposed racial supremacy for the Western world). That’s just an artist rendering based on what the average person of the time and place Jesus actually came from looked like, but you get the idea. 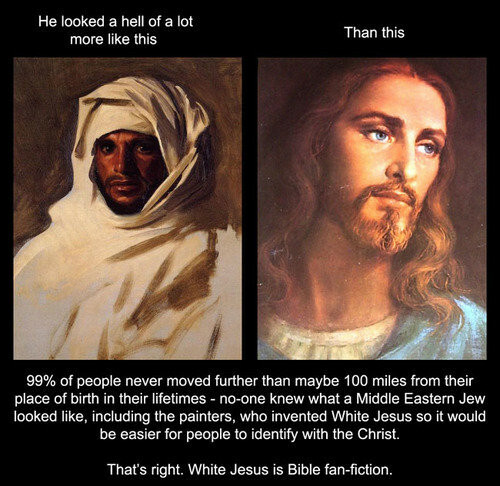 For the dominant image of Jesus as a whitey, blame those Renaissance era master artists – Da Vinci, Raphael, Michelangelo and his ilk. True to their artistic loyalties, they painted him like a handsome Greek or Italian man. It helped that it became easily identifiable for followers of Christianity in Europe. In the age of the Crusades, the Church was better off not reminding people they were praying to a little, brown Jew. Similarly, many African and Arab Christians painted Jesus with dark skin and bushy mop, or painters from Far East or Hispanic regions added local racial features – something which immediately invokes easier association. 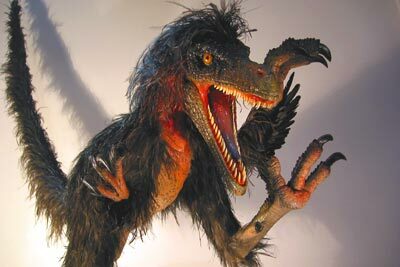 If your idea of killer dinosaurs were shaped by numerous amateurishly drawn ‘Encyclopedia’ books (and of course, the Spielberg classic ‘Jurassic Park’), you already know that Velociraptors were the fiercest of predators, and they looked something like this. Almost… but not quite. Allied to the fact that they were smarter than their contemporaries, there’s a little something which added to their ‘scary’ appeal (if you don’t consider giant, intelligent lizards scary enough, that is!). They had feathers. 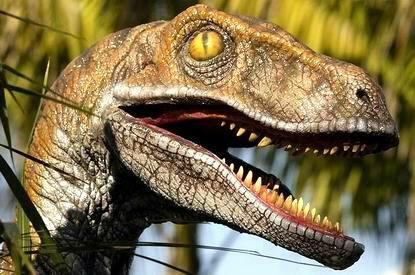 Given that the evolution of birds were from certain class of reptiles, it isn’t entirely unnatural. However, they couldn’t really fly. 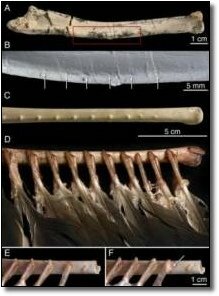 The feathers were more like a furry coating on their outer skin which they used to scare off other raptors or as a mating ritual. Quick, what do you picture in your head when we say, “Ancient Greece”? If you’re like most people you the first image is often about a muscular man with a weapon, dressed in a white robe and without pupils in his eyes. 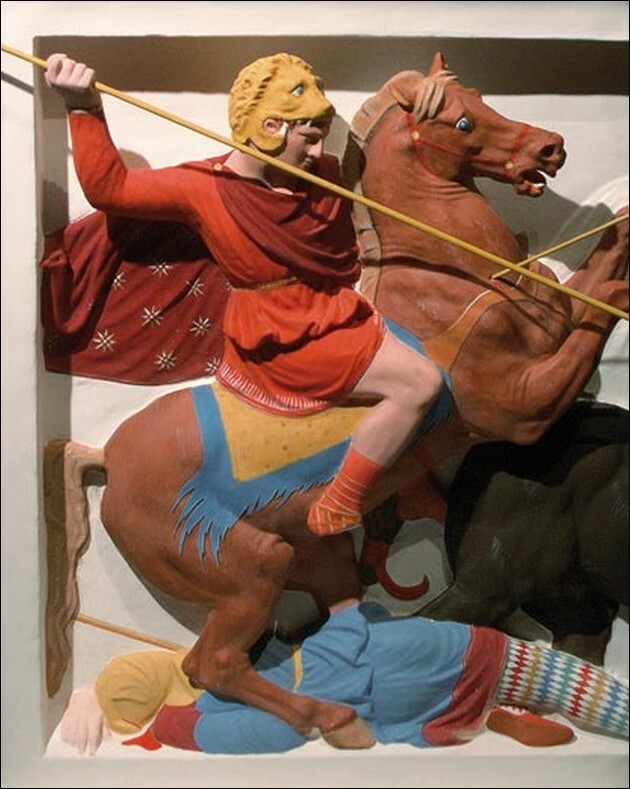 Archaeologists however, found enough proof in ancient scriptures, some even including illustrations of painting statues, to remain interested in knowing how widely colors were used in ancient Greek era. Modern laser-dating techniques have shown that the ornate marble structures were just the base models, which were then painted with bright primary colors by the Greek artists. With time these top coats of primary paints chipped away, falling prey to ravages of heat, humidity, wind and natural wear and tear. Later civilizations loved the beauty in minimalism and austerity of white, which perfectly matched their idea of strength and purity as opposed to frivolous use of colors. When they saw these sculptures, it created the lasting impression of Greek statues depicting powerful gods and men. Some modern proponents even found it ‘apt’ that founders of Western civilization should celebrate their art in ‘white’ and that idea of sumptuous marble statues further cemented its position in popular consciousness. 5. The Statue of Liberty is a modern version of the Colossus of Rhodes. With a broken shackle at her feet, the famous ‘Statue of Liberty’ is widely recognized across the world. Popularly known as a gift from France to America, the statue is believed to be a mark of freedom from colonial shackles, not least because of the inscribed American independence date on the pedestal. The actual history of the statue is rather more than that. The statue of ‘Libertas’ or the Roman Goddess of Freedom is actually a like-for-like representation of ancient statue of ‘Colossus of Rhodes’. The similarity doesn’t end there. Among the original ‘ Seven Wonders of the Ancient World,’ the Colossus of Rhodes (depicted below) oversaw the Mandraki Harbor in the city of Rhodes (Greece). 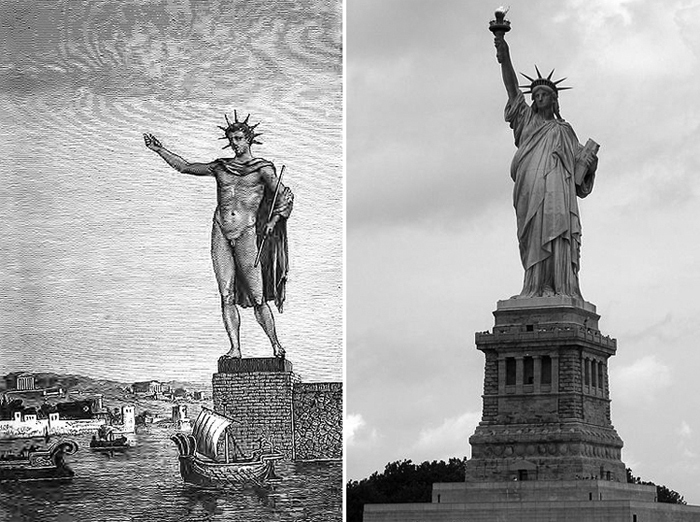 The Statue of Liberty was designed and built to the scale and design of the original Colossus of Rhodes (at least as it was believed to have looked at the time Liberty was constructed). Beginning work in 292 BC, it took Charles of Lindos and his designers nearly twelve years to complete the 110 feet statue, which was then erected on 50 feet pedestal. The base of was carved out of white marble and joined to the cast of feet at the ankles. 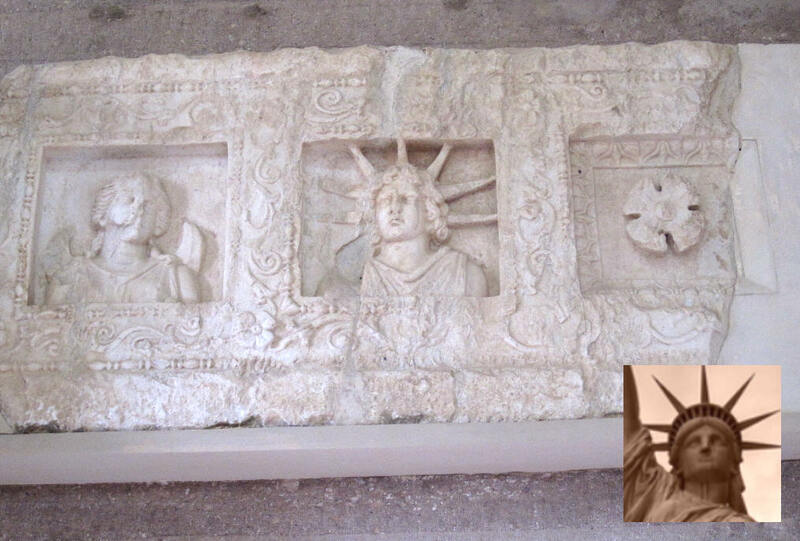 The status was believed to be dedicated to Greek God of Sun, Helios (or Apollo), whose blessings were supposedly the driving force for Rhodes’ victory Cyprus (305 BC). The equipments of the vanquished enemy were sold off to finance the building of the statue. It stood for over half-a-century, by which time its fame reached scholars and visitors from far off lands, before a devastating earthquake in 226BC demolished it. The dedication script on the statue, according to texts discovered later, spoke of a ‘statue leading to Olympus’. While the representation of liberty and freedom isn’t entirely misplaced per se, it is mainly believed to be something of a modern metaphor about America being the ‘land of opportunity’ and freedom for immigrants. However, being based on another statue which was once a renowned representation of ‘freedom’ for this world, the Status of Liberty certainly owes a major allegiance to the Colossus of Rhodes, both in architectural similarity and significance. Fotovolos Apollon. Ancient Corinth Museum. Similar facial expression, seven beams of light in exact position with those in the Statue of Liberty, same dimensions…. Just a coincidence? The art of being an assassin and a skilled fighter is in deception. It is also about practical battlefield advantages rather than getting dressed in outrageous outfits which screams for attention. 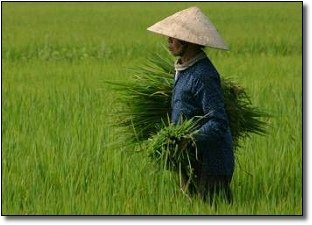 Ninja assassins were specially trained to trail and kill, so they needed to dress like most ordinary men – merchants, monks, shopkeepers or farmers. If you were trying to track down your prey, you wouldn’t want to have a ‘uniform’ which blares out ‘Ninja’ from a mile away, would you? Even when they moved in dark, they were usually wearing dark blue rather than black (which would clearly show your silhouette against the night). 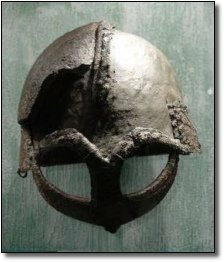 Regarding the Vikings’ helmet – would you really want to be in a battlefield (or any hand-to-hand combat situation really) where you are wearing something which people can grab on to? Ever wonder why all those armed forces dudes (across the board) have crew-cut hair instead of sporting tresses like they dropped out of LOTR world? Yup, exactly. Their helmet looked like any other protective headgear. The Ninja all-black outfit was born out of theaters. In the Edo era plays, the stage hands and prompters used to blend in the background in all-black. 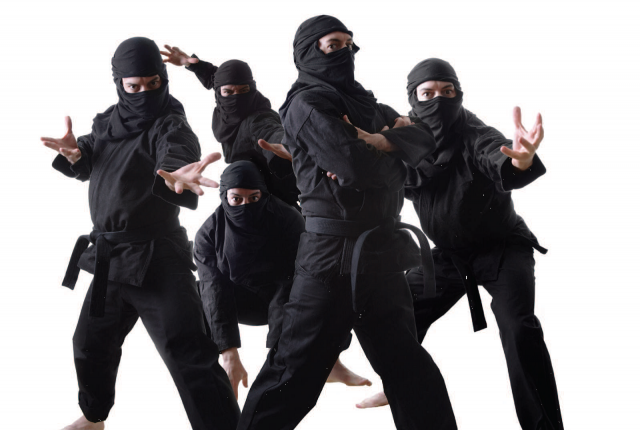 The play directors came up with the idea that actors playing Ninjas must dress the same way, to depict their stealth and ability to sneak under the watch before suddenly leaping to action. The popularity continued up to modern movie stereotypes to this day. 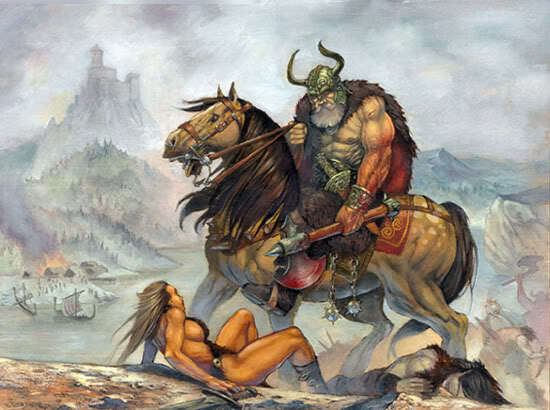 As for Vikings, the ‘horned’ warrior from North was merely an exaggeration about the invaders by Roman and Greek historians. Sure enough, the artists picked up on that cue and delivered illustrations to seal the misconception.